Drew Alicia shoes offer a classic look with an exquisite style complements of beautiful suede detailing. Unlike most women’s orthotic shoes, the Drew Alicia has a removable clear gel insole, providing for added depth and the perfect fit, as well as room to insert your own prescribed orthotics. A unique dual-density heel with EVA offers shock absorption for incredible all-day walking comfort while a 1 2/8" heel height adds an attractive element of style. 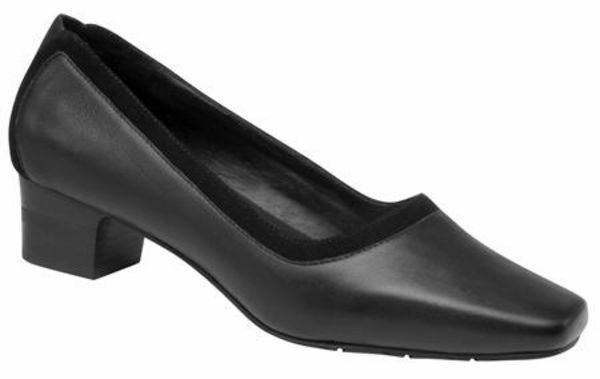 Simply stated, our Drew Alicia shoes are one of the most fashionable orthotic dress shoes available for women. Click to see all the Drew Alicia colors.